This is a Fantastic new Venture that we are offering, Let us take your dull drive and add a sparkle to it. We restore the Drive way back to the original look then protect it for you in 5 steps. 1. we wash the drive with a heavy duty detergent that removes oil and grease. 2. we then power wash the surface removing any remainder of dirt and grease. 3. we then spray Reno Anticide to kill and remove any moss and algae spots. 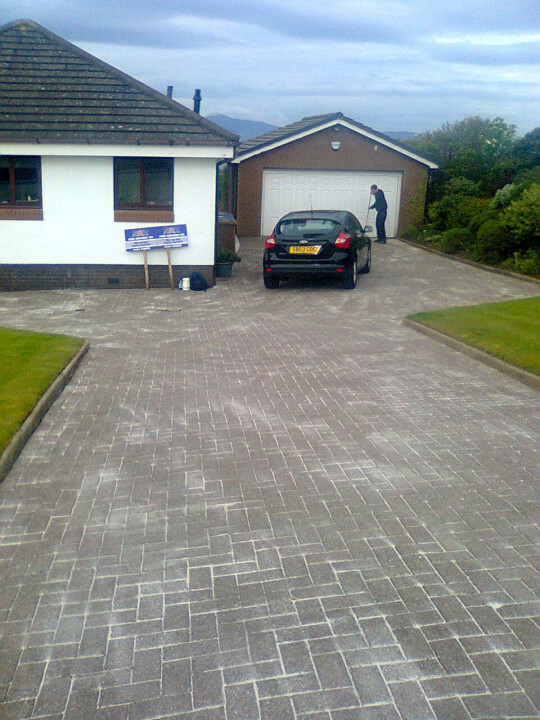 not only would this give you a stunning looking drive way, rest assured it would also add value to your home.